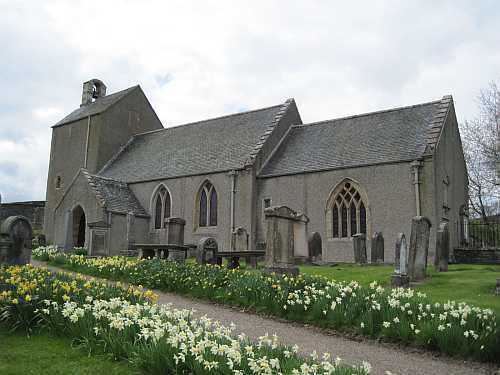 We have a new page on our website for our Silver Jubilee Family and Local History Fair and Conference in Melrose, Scotland on 9th October 2010. There will be 4 lectures, and a lot of exhibitors. So far the exhibitors are ourselves, Dumfries & Galloway Family History Society, Dunse History Society, Glasgow and West of Scotland Family History Society, the Hawick Heritage Hub, Lanarkshire Family History Society, Lothians Family History Society, Melrose Historical Association, Northumberland & Durham Family History Society, Tay Valley Family History Society, The Scottish Association of Family History Societies, The Scottish Genealogy Society and West Lothian Family History Society. More info on our Conference page. 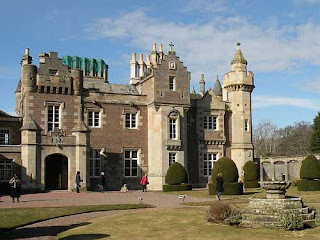 Abbotsford House, near Galashiels, Scotland, the home of the famous Sir Walter Scott, one of Scotland's greatest writers and one of the most influential Scots that ever lived, is to receive funds to pay for essential and urgent repairs to the building and help create a new visitor centre. With the death in 2004 of Dame Jean Maxwell-Scott, the last direct descendant of Sir Walter to live in Abbotsford, its future was put in doubt. In January 2007, responsibility for the house and gardens passed from Dame Jean's executors to The Abbotsford Trust, a new charity. 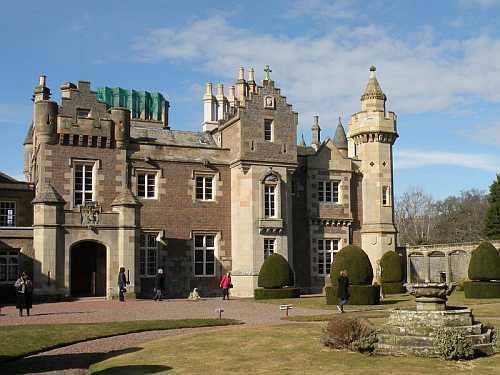 The trustees will be getting £2.45m, but that's a lot less than the £10m they were seeking, which they say is needed to preserve the 19th century mansion and secure the house as a major tourist attraction, in part by creating luxury letting accommodation to generate an income. The designs for the new visitor centre show it to be a most unattractive building, but its trustees don't accept that, and also say that it's been designed to be unobtrusive and have low running costs. More details in a BBC article. 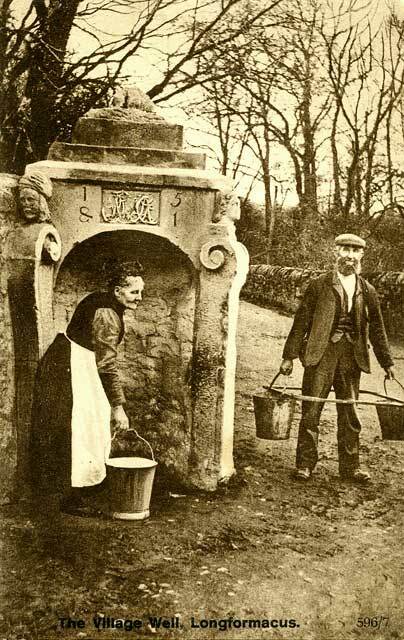 Family Search have announced that over 300 million new names have been added, creating or updating more than 150 new collections of records. Can that be right ? It seems unbelievably large. Even 300,000 would be a lot. The records can be found at FamilySearch’s Record Search pilot. Whatever it is, it's good news for all of us. as well as lots of records from south and central America, the Caribbean, Europe, Russia, and the USA. If you want to volunteer to help Family Search, you can do that at FamilySearchIndexing.org. If you would rather help closer to home, please go to our Contacts page and send us a message, choosing the contact type Offers of Help. I found this very nice photo site yesterday, while looking for a photo of Dingleton Asylum to use in the volumes of Melrose Poor Law Records being researched now and in preparation for a talk I'm giving in October, and I saw a reference to their postcard index. 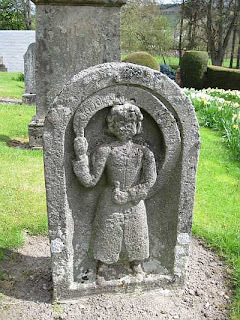 Although the bulk of the photos are based in and around Edinburgh, there are others from further afield including some in the Borders: a Texaco petrol pump at Peebles, a postcard of Coldingham, and as we've recently published our Monumental Inscriptions volume for Longformacus, Berwickshire, I'm showing with Peter Stubbs' kind permission, a photo of Longformacus village well. There's also a nice selection of railway pictures including Jedburgh Railway Station and Selkirk Railway Station, maps and a host of links to other sites. I didn't find a picture of Dingleton Asylum, so if you've got one, and would be happy for me to use it, please let me know. I'd also like a picture of Millholme Asylum, Musselburgh, as that's where many people went before Dingleton was opened.